MOSCOW (Sputnik) - Russian Foreign Ministry spokeswoman Maria Zakharova said Thursday lies spun by the UK government about the ex-spy's poisoning in Salisbury were finally being exposed. "The fog is clearing and numerous lies of the [Prime Minister] Theresa May’s government are becoming more obvious," she wrote on Facebook. She cited the Czech president, Milos Zeman who said intelligence reports suggested a small amount of A230 toxin dubbed by the services as "novichok", the like of which was allegedly used to poison Sergei Skripal, had been previously produced in the Czech Republic. In March, former Russian intelligence offices Sergei Skripal and his daughter were found unconscious on a bench near a shopping mall in the UK city of Salisbury. The United Kingdom and its allies claimed that Russia was to blame for the alleged poisoning with the A234 nerve agent, one of the group of compounds referred to as "novichok", despite presenting no proof. Over a hundred Russian diplomats have since been expelled from Western countries in solidarity with Britain and to put pressure on Moscow, which denies any involvement. 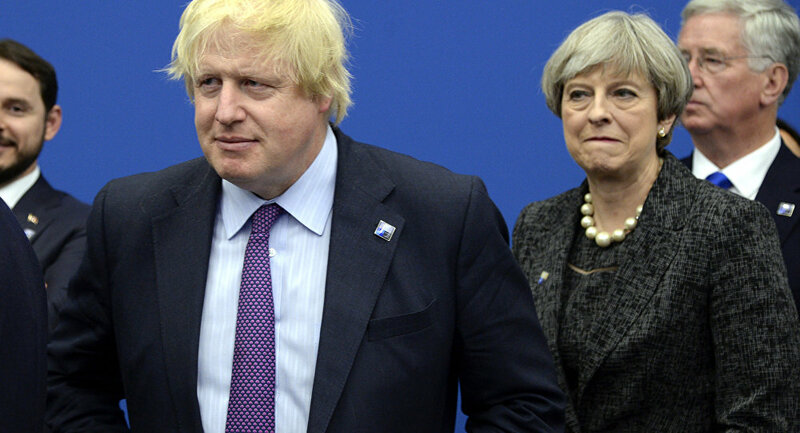 The UK Prime Minister Theresa May has repeatedly claimed that Russia was the only maker of the so-called "novichok" nerve agent. Zakharova also pointed to an April comment by the chief of the UK’s science lab who admitted that British scientists could not establish that the toxin had been made in Russia. Meanwhile, responding to a story by The Times which claimed the poisoning of Sergei and Yulia Skripal at their Salisbury home was a messy job, with traces of the A234 toxin found at the foot of the front door and on the handle. Russia’s Embassy in London on Thursday warned about media and public relying on leaks to uncover the truth behind the ex-spy's poisoning and urged the UK government to disclose its findings. "The new leaks only add to the inconsistency and absurdity of the narrative that the British authorities and mainstream media want people to believe," the Embassy said in a statement. It pointed to other media leaks that were later denied, such as claims by The Times that authorities had identified key suspects in the Skripal case, rejected this week by UK national security adviser Mark Sedwill. "That’s why we continue to insist on full information on the investigation to be officially provided to Russia, or published, by the UK government. This is in everybody’s interest, including the media, the public, and not least the UK’s international partners," the statement continued.